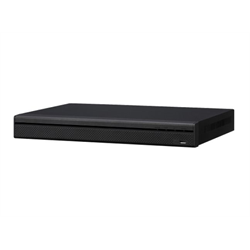 This Eyeonet by Dahua NVR is perfect for new installations or upgrading older systems. It has 4 BNC connectors to support up to 4 CCTV or high definition HDCVI, ADH or TVI cameras. It automatically detects the camera format so camera set up is plug and play. Camera video is recorded to the pre-installed 1 TB hard drive. Video may be recorded full time, manually, on schedule or based on video motion events.